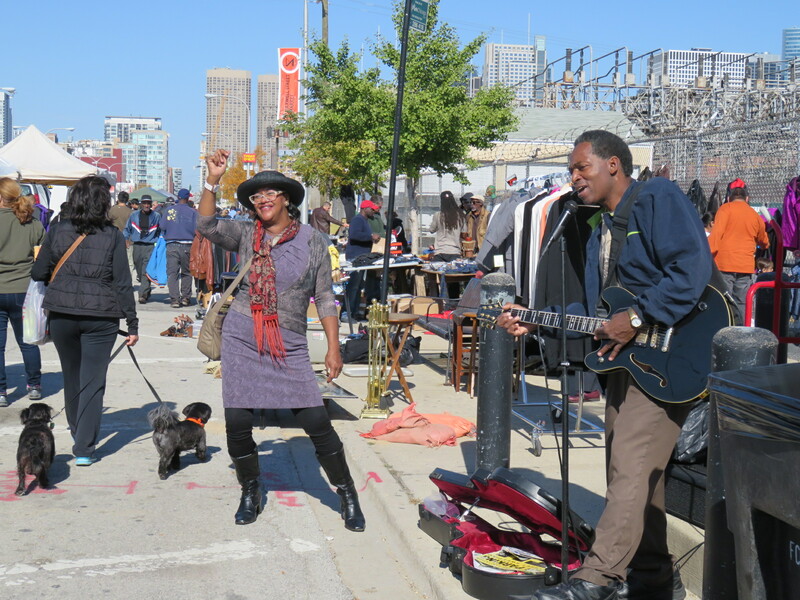 From April through October in 2014, 2015 and 2016, the Maxwell Street Foundation will keep a seasonal presence at the New Maxwell Street Market by a history display of photos, books, T-shirts and posters. Shoppers have one-stop shopping at the Market to show their love of Maxwell Street! The Market is open to the public free of charge every Sunday of the year, 7 a.m. to 3 p.m.
All images published by the Maxwell Street Foundation within this website are copyright of the artist and are for educational, personal, and/or noncommercial use only. For any other use, please contact gro.n1555621916oitad1555621916nuoft1555621916eerts1555621916llewx1555621916am@of1555621916ni1555621916.